The blood film showed a population of lymphoid cells with ‘hairy projections’. There was absolute monocytopenia. 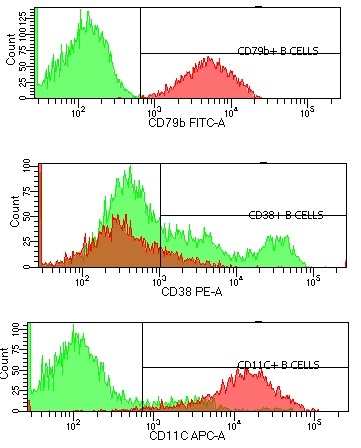 Both of these are consistent with a diagnosis of hairy cell leukaemia. However, hairy cell leukaemia variant and other low grade lymphoma may have similar appearances and the diagnosis needs to be confirmed. What is the immunophenotype of the abnormal population? How else is hairy cell leukaemia diagnosed? How is hairy cell leukaemia treated? 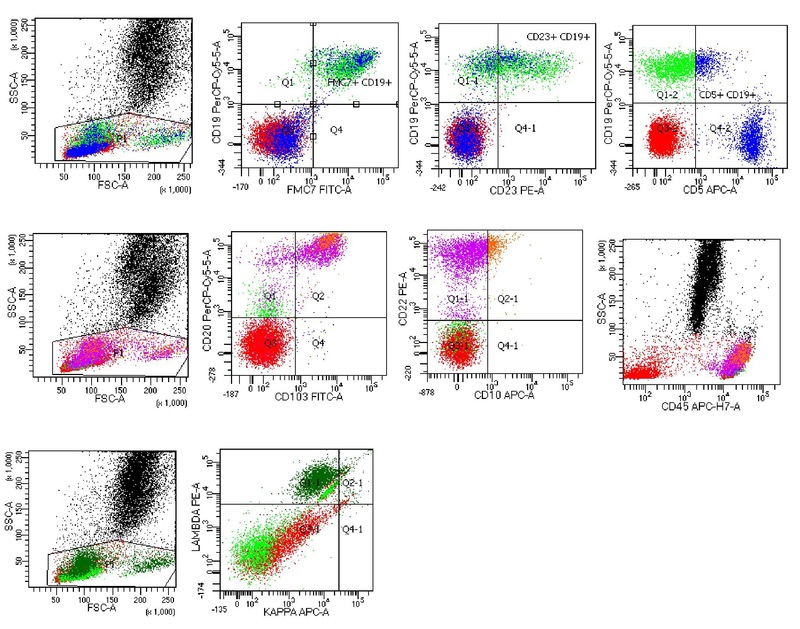 This entry was posted in Chronic leukaemia, Laboratory morphology, Lymphoma and tagged Blood film, Chronic leukaemia, Flow cytometry, Hairy cell leukaemia, low grade lymphoma, morphology, pancytopenia, splenomegaly. Bookmark the permalink.